During a Q&A session earlier in the week, Mark Zuckerberg was asked when Facebook plans to allow users of the popular social network to “dislike” status updates. While he didn’t go into detail explaining how the button will work, he did say there was a good reason for the delay in getting it out to users. “You know, it took us awhile to get here. Because you know, we didn’t want to just build a Dislike button because we don’t want to turn Facebook into a forum where people are voting up or down on people’s posts,” he said. 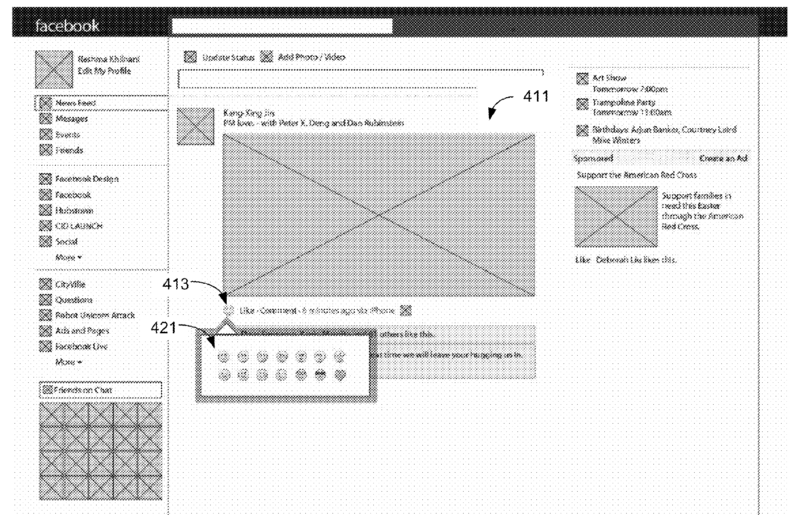 A recent patent filing unearthed by TheNextWeb may reveal what the company has in mind for the long requested feature. Filled on December 23, 2014, United States Patent No. 8,918,339 B2 shows a user interaction system that will be familiar to anyone that has used Slack. 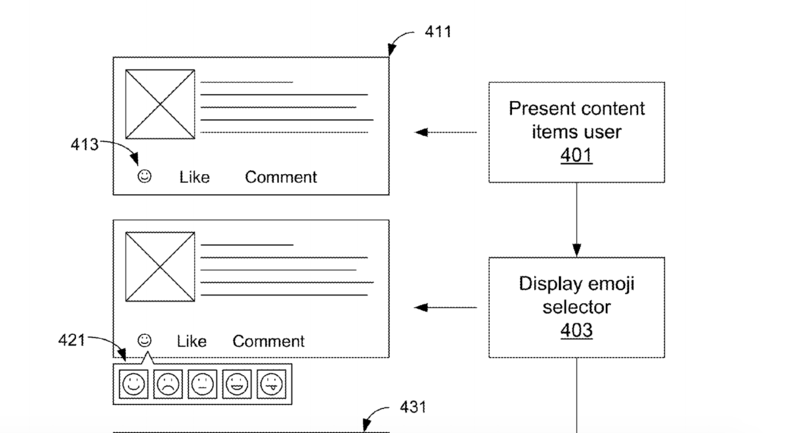 Like that app’s recently added reaction feature, Facebook appears to be planning to implement a system where users will be able to use emoji to state how they feel about a particular status or piece of news. 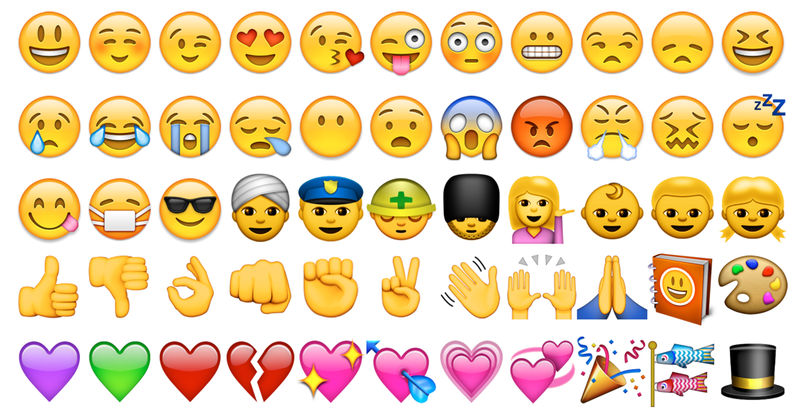 Unlike Slack, however, it appears that Facebook plans to limit the number of potential emoji users can respond with— Slack allows a user to switch between the Apple, Google Hangouts, Twitter and Emoji One character sets.